While Ottawa is hardly bereft of Greek fast food, EVOO is one the first restaurants to offer a Greek 'fine-dining' experience. 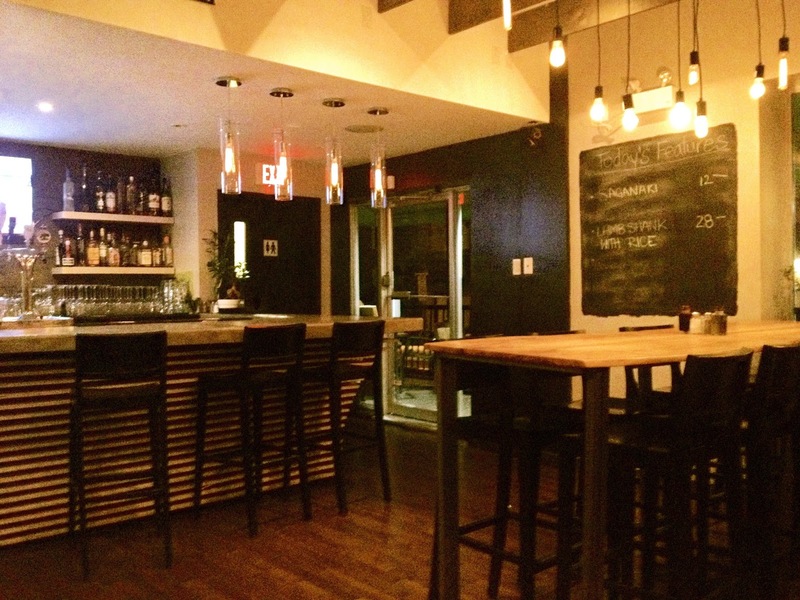 Located on Preston Street in the heart of Little Italy, EVOO embraces traditional Greek cuisine with a modern flare. EVOO, which is short for Extra Virgin Olive Oil, was brought to life by Elias Theodossiou and his wife April Miller almost a year ago, and it has been going strong ever since. While the cuisine is authentically Greek, the restaurant itself is anything but. It boasts a modern, contemporary vibe, with trendy light fixtures, plush banquet seating, wood tables and chalkboard menus. 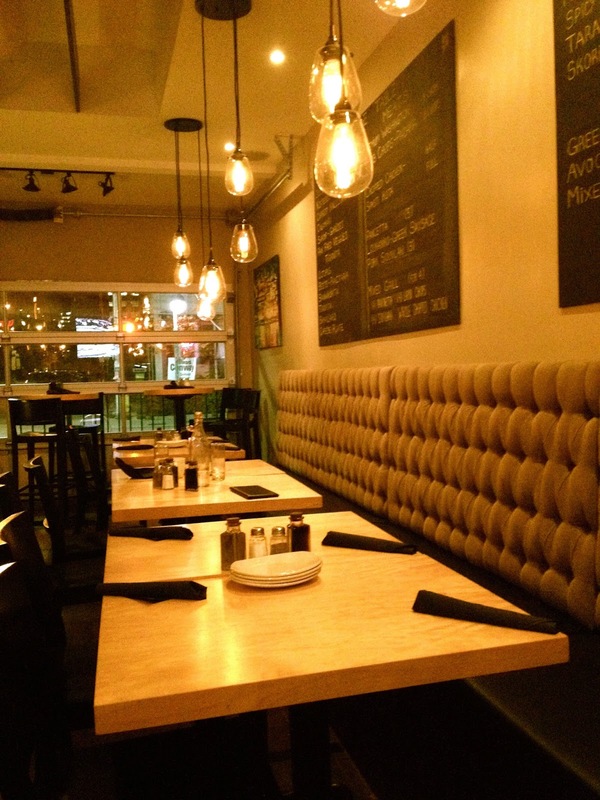 The ambience is very warm and inviting and is completely devoid of 'tacky' Greek decor. When it comes to the menu, it brilliantly captures the nostalgia of traditional Greek cooking, but elevates it to another level with its modern flair. This synergy creates a refined and impressive dining experience. The menu features an assortment of dishes, ranging from spreads, salads, classic Greek appetizers and meats, such as lamb chops, pork souvlaki, pancetta, sausage, among many others. The menu also incorporates various entrees, however, the best way to dine here is to share food family-style. So that's exactly what we did. 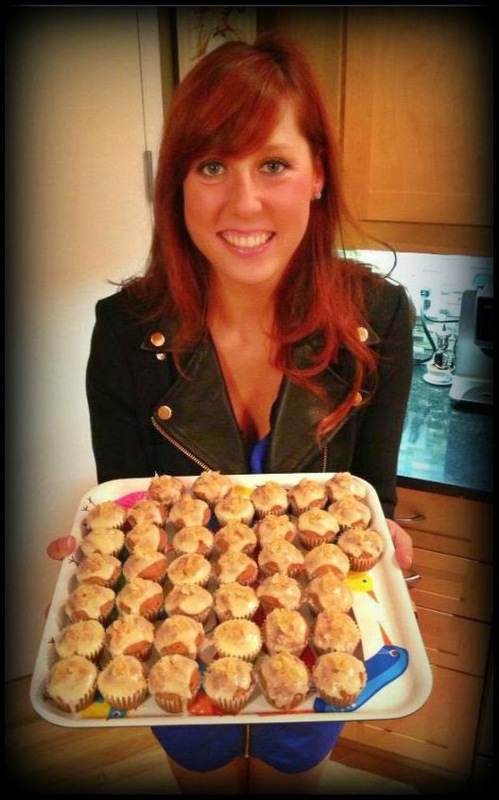 I highly recommend sharing whenever possible, as it provides the opportunity to sample an array of everyone’s favourite dishes! 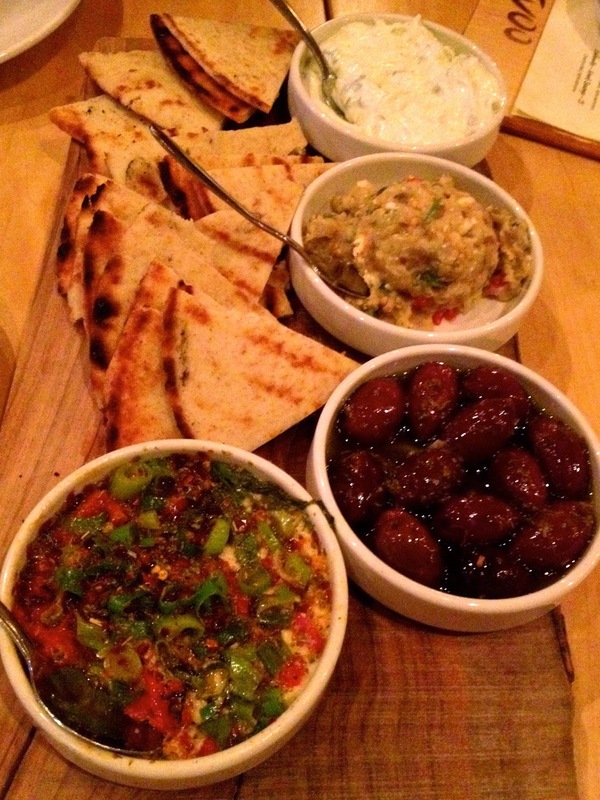 To start, we went with the Trio Spreads with olives and warm pita bread for $18. We got to choose 3 spreads out of 6 delicious options. We chose Tzatziki, Melitzanosalata (made of eggplant, garlic, parsley and roasted red peppers) and the Spicy Feta Dip (made of feta, tomatoes, red peppers, chili flakes, and EVOO). All were tasty and packed with flavour! Next, we ordered the Cypriot Halloumi for $11. 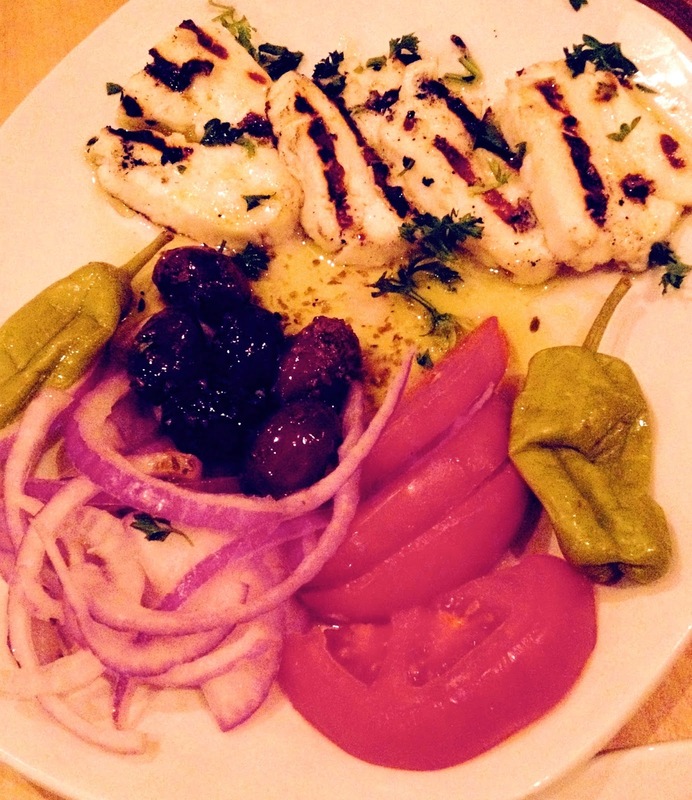 Grilled halloumi cheese was served with heirloom tomatoes, onions and kalamata olives. For those of you who have never tried Halloumi, you must do so immediately. It is definitely my favourite type of cheese, and it's even better grilled! The strong salty taste and spongy texture is a delight for your tastebuds. 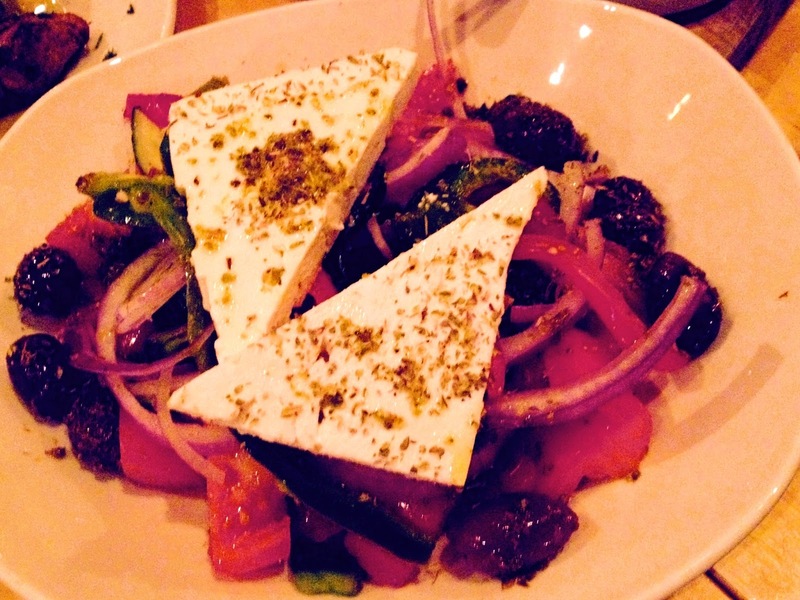 For our next course, we got the Greek Salad (Horiatiki) for $16, which consisted of tomatoes, feta cheese, cucumbers, onions, kalamata olives and EVOO. This classic dish hit the spot and was large enough to share amongst my dining companions. 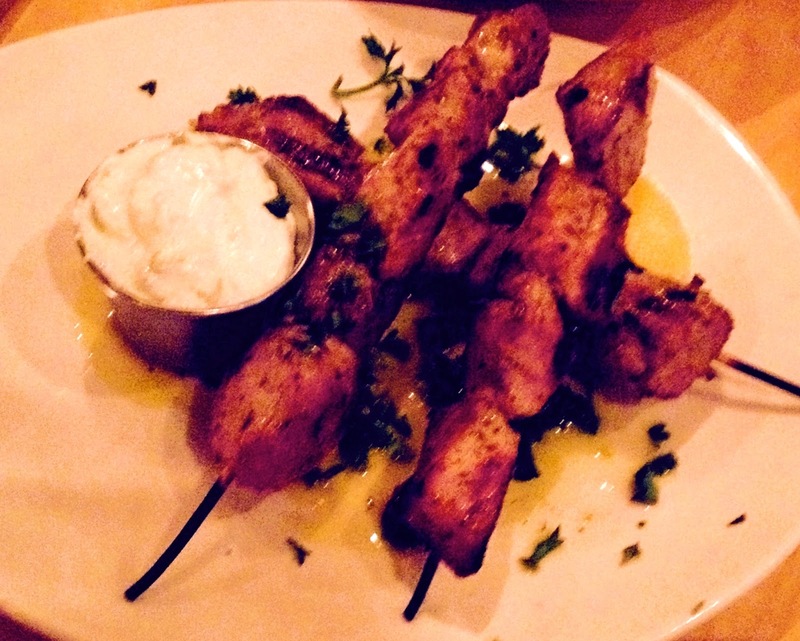 Finally, to finish off the evening, we ordered 3 sticks of the Pork Souvlaki for $14 (there is also an option to order 6 sticks for $27). The pork was marinated in a lemon-oil sauce and charbroiled to perfection. It was paired perfectly with a side of Tzatziki. By the end, we were quite full, but very satisfied with both the food and the service. Overall, we had a great meal and we are pleased that EVOO has finally put modern Greek cuisine on the culinary map in Ottawa.